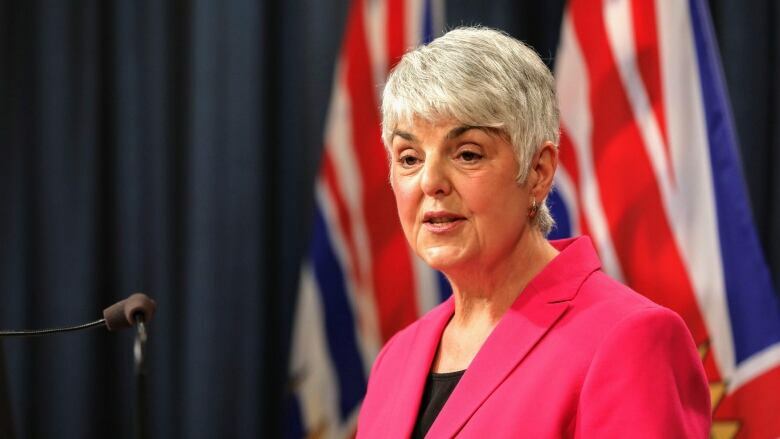 Finance Minister Carole James says British Columbia's economic growth remains "strong and stable" and the budget is on track to record a significant surplus in the 2018-19 fiscal year. Finance Minister Carole James says British Columbia's economic growth remains "strong and stable" and the budget is on track to record a surplus in the 2018-19 fiscal year. James said Monday the operating debt, which builds up when tax or other revenue misses spending pledges made in a budget, has been reduced to zero for the first time in four decades. The province's second quarter results for this fiscal year show a projected surplus of $1.35 billion, she said. James said RBC and other analysts remain positive about economic growth in B.C., forecasting the province will remain a leader in Canada this year and next, even before the benefits of a liquefied natural gas development in Kitimat are added to projections over the next several months. "Private forecasters expect that B.C. 's economic growth will be strong. In fact, they are predicting that we are going to lead the provincial rankings in 2019," she said. "That additional prudence is very critical ... to help mitigate any kind of provincial revenue impacts," she told a news conference at the legislature. The opposition B.C. Liberals noted property tax revenues are expected to decline by at least $400 million, which means the province is becoming more dependent on personal and corporate income tax revenue. Shirley Bond, one of the party's finance critics, says they are concerned about the tax burden on business because of government plans to charge medical service plan premiums and the employer health tax in 2019. "The burden is compounded with the introduction of the new speculation tax and the devastating effects it is already having on the construction industry with cancelled housing starts and lost jobs, as well as continued increases to the carbon tax and an increase to the corporate tax rate," she said in a news release.